Cloth-like backsheet and breathable sides for protection and comfort. "RapidDry" improved dryness. Pop-up leg gathers for added protection. Features the "Rapid-Dry" System which quickly locks moisture into the absorbent core. 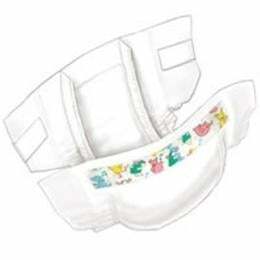 Leg gathers provide extra leakage protection. Resealable tabs make for easy inspection and/or adjustment. Sold in 18-count Package or 144-count Case.